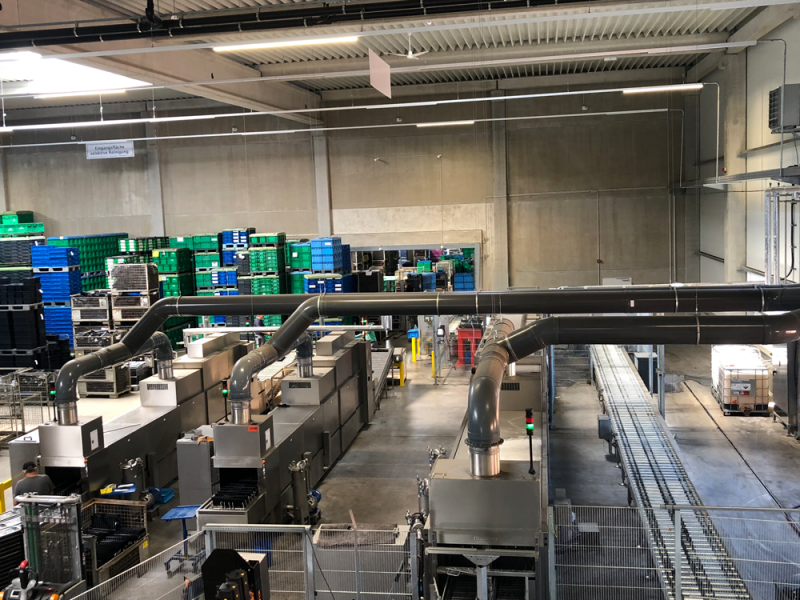 Our modern machinery for cleaning reusable empty packaging includes the most varied plant systems for processing all kinds of materials of every shape and size. Our cleaning room plant is one of our special features. The cleaned goods are processed and packed in the clean room. This ensures that the level of cleanliness achieved is retained right to the destination. Thanks to the latest laboratory analyses we can produce and record certificates in-house.